Anywho, once upon a time...err...a time four years ago...I was a young, broke recent college grad who had up and moved to a small-town in Ohio to volunteer for a year through the AmeriCorps program. I had a second-story, rundown apartment that I shared with a handful of friendly cockroaches, I was in better shape than I'd been my entire life (going to the gym nightly to avoid being home alone can have that effect), but few to no real friends, and certainly no romantic prospects to speak of. Thankfully, a co-worker/fellow AmeriCorps member who was born on December 19 invited me to her annual epic birthday blowout. It was a night of shenanigans and giving the middle finger to the holiday that had always managed to overshadow her birthday. I think it was likely a pity invite because I was the new kid in town. And because of my severe social awkwardness, I almost didn't go. But I was just desperate enough for a social life that I made my mind up and chanted the mantra, "What's the worst that can happen?" 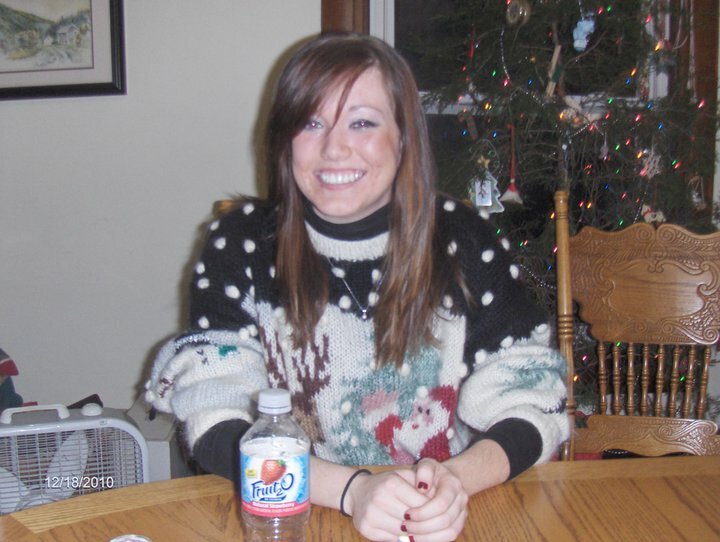 as I straightened my hair and donned my ugly Christmas sweater for the shindig. Ugly Christmas Sweater pictured here. What wound up happening was that I had an absolute blast. I met a ton of great people I am now so freaking blessed to call my friends and family. And I met a boy. Now, if I was interested in telling the fairy tale reenactment of this night and not what actually happened, I might neglect to mention that Chuck and I both spent the first part of the night flirting with two entirely different people (my bad). But as the party wound down, we found ourselves in conversation and it took me all of 30 minutes to realize I was really interested in this guy. There was nothing fake about him. I could tell he wasn't playing any games or trying to impress me. He was 100% genuine. It was so dang refreshing. Around 2am as people began trickling out, I was so ready to keep the night going as I hoped to get to know this cute, blonde stud better. We wound up joining a small group for an after party at another friend of his, where we cuddled and continued to converse on the couch and he eventually walked me home. As we approached the landing of the outdoor stairs that would lead to the aforementioned slum I called my abode, he leaned in for a kiss as the snow fell around us. You couldn't have scripted a better first kiss. I awoke the next morning, hungover as could be and promptly texted a friend that I would not be able to join him for the breakfast we had planned. Not even 10 minutes later, that cute, sweet guy from the night before texted to invite me out for coffee. Being the good friend that I am (*sarcasm*), I of course, said yes. Just five hours after he had kissed me goodnight, he asked me out on our first date. Happy Four Year Date-a-versary, my love. Awwwwwwwwwww. Tears. That's so sweet. And now you'll have a baby. That is so sweet! Too sweet! Stopping by as I have been a long time follower. MrsM117 on pinterest as well ;) Happy four years a couple days late & I truly hope baby comes soon if he hasn't already! Starting a new blog as my older one needed to go. Maybe we can swap mommy stories!!? Cute! 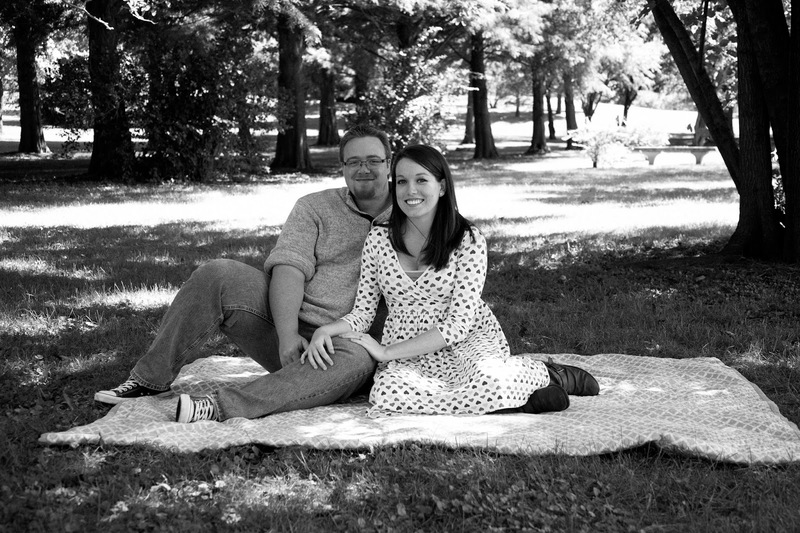 I don't remember the exact day Jordan and I met, but I know it was in January 2009, so it will be six years of knowing each other soon!